A daycare operator believes a recent Supreme Court of Canada ruling on classroom size and composition in B.C. is having an unintended effect for young children: shutting them out of school-based daycare to make more space for classrooms. Some advocates say the recent Supreme Court of Canada ruling on classroom size and composition in B.C. is having an unintended effect for young children: shutting them out of school-based daycares to make more space for classrooms. According to Jenn Tanguay, that's what happened with her non-profit, The Grove Childcare, in Burnaby. 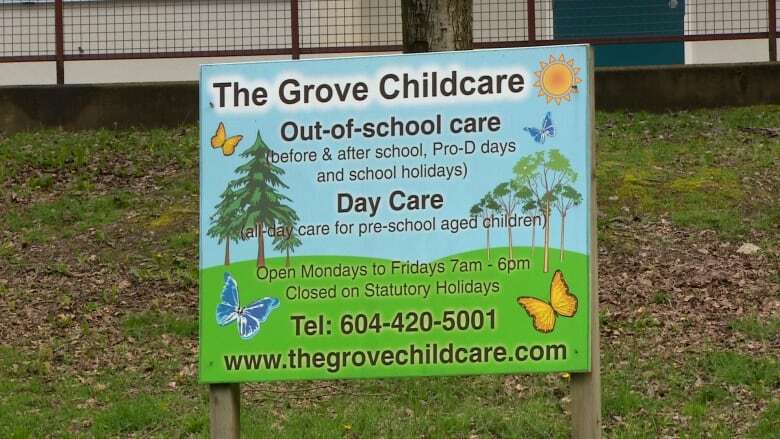 The daycare serves three-to-five-year-olds out of Forest Grove Elementary School in Burnaby, B.C. and also provides before and after school care. The daycare's program for preschool-aged children will have to close in August, Tanguay says, but the before and after school care will remain open. "This is a microcosm of what's happening around the province," said teacher Liz Byrne. "I loved that we got that Supreme Court ruling, and it's all piles of good for our kids ... The issue now is let's make sure we don't displace the good hard work we've been doing to get the daycares into the schools." Schools across B.C. have been scrambling to find more space in time for September. The Supreme Court decision, which came out in September after a 15-year battle, means schools will have smaller classes — and will subsequently need more classroom space. But the Burnaby School District says the Supreme Court ruling is not a factor in this case, saying the Forest Grove Elementary needed to take back the extra classroom space for a growing language program. 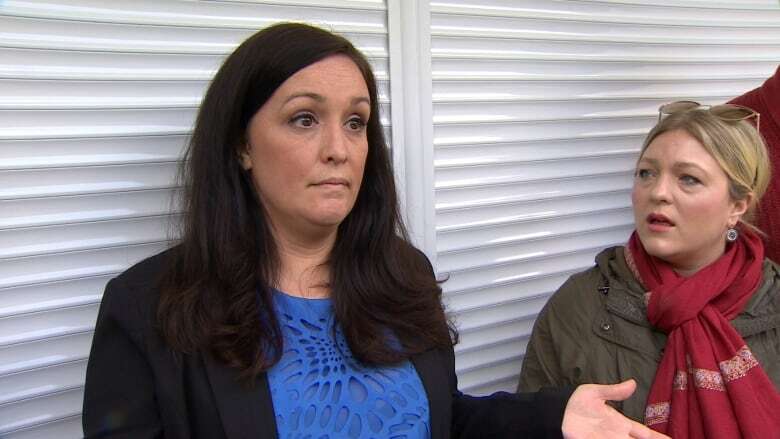 Parents and daycare providers say there isn't enough daycare space available for younger children not yet in school and they're being left in a lurch. "The crisis right now is so bad for daycare that people are taking to substandard care," said parent Steve Miller. "Where are we supposed to go? There's nothing," said parent Amber Clancy. Some politicians leading up to the election have promised daycare for $10 per day, but Tanguay said that won't help a problem that comes from lack of space. Non-profit community daycares like Forest Grove have to have proper zoning and an outdoor play area. "If you had fully funded daycare where parents were completely subsidized, I couldn't help them," Tanguay said. "Because there's nowhere I could put them." Baljinder Narang, the vice chair of the Burnaby Board of Education, says the school had to reclaim space from the daycare to accommodate its growing Mandarin language arts program, not because of the Supreme Court ruling. "We have a Mandarin language arts program which started in 2010. The idea was every year we would add a class so that the children could progress until they were in Grade 7," she said. "This is the last year of its program, so we need that extra space." Narang said the extra classroom space was initially provided to the Grove daycare at no cost with the understanding the school might eventually have to reclaim the space. She added the school district has not terminated any childcare licensing or operating agreements this coming year, and said the district is developing a long-range facilties plan to help better determine space requirements. Tanguay said she is grateful the district has been has been supportive of the daycare, providing classroom with space for 20 preschool-aged children for eight years. But she says lack of space is a still an issue. "It's not about who's the bad guy right now, it's about who's going to be the good guy and step up and fix this problem for our province." The NDP's platform is populist and progressive — but are the projections precise?